It has become commonplace to observe the growing pervasiveness and impact of Non-Governmental Organizations (NGOs). And yet the three central approaches in International Relations (IR) theory, Liberalism, Realism and Constructivism, overlook or ignore the importance of NGOs, both theoretically and politically. Offering a timely reappraisal of NGOs, and a parallel reappraisal of theory in IR—the academic discipline entrusted with revealing and explaining world politics, this book uses practice theory, global governance, and new institutionalism to theorize NGO accountability and analyze the history of NGOs. 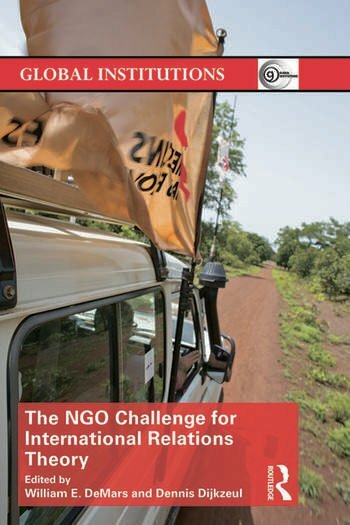 This study uses evidence from empirical data from Europe, Africa, Latin America, the Middle East and Asia and from studies that range across the issue-areas of peacebuilding, ethnic reconciliation, and labor rights to show IR theory has often prejudged and misread the agency of NGOs. Drawing together a group of leading international relations theorists, this book explores the frontiers of new research on the role of such forces in world politics and is required reading for students, NGO activists, and policy-makers. Dr. William E. DeMars is Professor & Chair, Department of Government, Wofford College, USA. Dennis Dijkzeul is the Executive Director of the Institute of International Law of Peace and Armed Conflict and Professor of Conflict and Organization Research at Ruhr University Bochum, Germany.